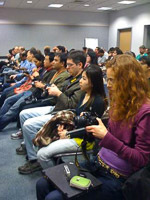 This class is for photographers who are would like to advance their skills while using their mobile device. Our phones and other devices are a great extension of our photographic endeavors and maximizing image quality is a desired goal. You will capture JPEG and RAW images on your mobile device, then import to Lightroom Classic CC and further develop your images. Various phone apps for controlling image capture will be covered. Bring your device, your laptop and lunch. After an overview of the apps and workflow with JPEG and DNG (RAW) files, we will concentrate on image capture near our location. You will then import images to your laptop for further editing. Bring your laptop with Lightroom Classic CC installed, and lunch. We will explore more advanced processing techniques and use of tools in the Develop Module in Lightroom. We will work on a few examples and techniques, as well as spending time with your own images and processing challenges. We may also do some printing in class. Welcome to the 2019 Photography Classes and Workshops. A few new locations have been added as well as keeping some of the perennial favorites. These classes and workshops are designed to increase your technical skills as well as concentrating on your artistic vision and goals. The workshops are not location based tours of areas per se, but we do visit beautiful areas at appropriate times for fine image making. Your workshop fee includes personal instruction, location guidance, and 100% of my attention focused on your needs and photographic growth. Upon receipt of your payment, you will be sent a trip checklist to assist with your preparations. When appropriate, car pooling will be encouraged. Much of the enjoyment in our workshops is spending time with your fellow photograhers. Please return on occasion to this list, as other workshops or classes may be added throughout the year. Payment and Registration information can be found at the bottom of this page. An overview of using various online tools and observation to help determine the advent of conditions that may be more conducive to outdoor photography, both at the coast and inland. Determining sun and moon positions and moon phases will also be discussed. A list of recommended web sites and apps will be included. This workshop is completed. Thank you. A one day intensive class to get a good working idea of your camera's dynamic range, setting exposure, interpreting histograms, ISO and it's effects on image quality, Exposing to the Right (ETTR) and other digital exposure mysteries. In the afternoon we will move downtown and discuss Depth of Field, developing a workable approach you can use in your work regarding the variables of focal length and aperture for various situations. Handouts will be provided. 5 participants. A handout will be sent to you to review before the workshop. It’s Spring and the Gorge is alive with color. From macros of flowers to landscapes, there are endless possibilities. As the water and flowers can vary from year to year, we will visit the areas that are the most promising photographically. We will shoot all day until dusk. There will be some walking with occasional uneven terrain. The following day we will have a Lightroom developing session. Five participants in each session. Full details, an itinerary and a list of suggested gear will be e-mailed to you. Take multiple exposures while manually changing the areas of focus, then combine them with software for a final image with the depth of field you desire. We will discuss various workflow approaches for different subject matter from flowers to landscapes. We may do some outdoor photography, depending on conditions. In the afternoon we will use the focus stacking tool in Photoshop to combine your exposures into one image. Other stacking software tools will be included. Bring your laptop with Photoshop or another stacking program installed. Five participants. A handout will be sent to you to review before the workshop. This workshop is currently full. Thank You! Please contact me to be put on the wait list. Mt. Rainier has it all, from vistas, waterfalls, rivers and wildflowers. August is a wonderful time there, so we will explore various elevations for landscape and intimate photographs of forests, creeks and flowers. The areas chosen to photograph will be decided on with the weather and other factors, such as the snow levels at various elevations, blooming flowers, etc.. We may also do some night photography if conditions allow. Some modest hiking will be involved. Mt. Rainier is also a very large area, so driving to various areas will be necessary. Car pooling will be encouraged. Four participants. Full details, an itinerary and a list of suggested gear will be e-mailed to you. You'll need to bring your laptop for editing and the Lightroom session. We will photograph sunset and then the Milky Way into the evening. Oak trees, the rolling hills of Columbia Hills will compliment the evening show of stars and the Milky Way. Other areas may be Maryhill Stonehenge and wind turbines with the night sky. The next day we will first photograph morning light, after lunch developing your images in Lightroom and Starry Landscape Stacker (mac). Sunset and more Milky Way photography will conclude our workshop. You'll need to bring your laptop for the Lightroom session. Four participants. A handout will be provided for night photography, and a list of suggested gear will be e-mailed to you. We will meet for early dinner at 4:00p on Tuesday, then photograph evening light with a low tide at sunset. Some night photography is possible if conditions allow. On Wednesday, we will start early in the morning with a low tide at the beautiful sea stacks at Oceanside. We'll have lunch and then a 3 hour Lightroom editing session. After dinner, as the tide recedes we will return to the Oceanside beach for sunset. Morning photography the final day, then brunch. Four participants in our group. Full details, an itinerary and a list of suggested gear will be e-mailed to you. You'll need to bring your laptop for the Lightroom session. 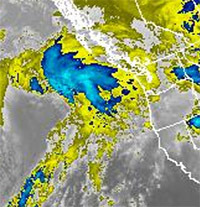 Weather, water and color in the Columbia Gorge will be areas of concentration. Weather and fall color will determine our shooting locations. 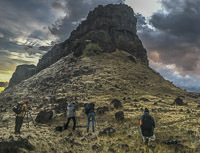 We will shoot the entire day, starting at 7:30a, returning to Portland in the evening. The following morning we will gather for a 4 hour Lightroom editing session. You'll need to bring your laptop. Five participants in our group. Full details, an itinerary and a list of suggested gear will be e-mailed to you. Weather is a random factor when scheduling outdoor workshops. What some would consider bad weather often makes for great photography. Participants should arrive at the workshop prepared for all weather conditions and temperatures. Full Refunds can be given four weeks before the workshop. With less than four weeks to one week before the workshop, your payment is not refundable, but you will receive 1/2 credit towards another workshop. With less than one week before the workshop, no refund or credit can be given. You will also receive a full refund or, if you choose, a full credit, if the workshop is cancelled. Occasionally, circumstances arise that prevent a person from participating in a workshop after registration and payment. If you wish to protect your investment in the workshop and possible losses if you are unable to attend, you may wish to look into travel insurance. Transportation, meals and lodging are not included. Many of the workshops originate here in Portland, so we occasionally car pool to locations. Individual instruction in photography, organizing your images or editing and printing your images is available by arrangement. $50 first hour/$35 subsequent hours. $35/hr. for former students and workshop participants. I have also given lectures and workshops on photography and Adobe Lightroom for corporations, clubs, businesses and organizations.